Becoming a great photographer requires a lot of skill and talent, but you also need inspiration that motivates you to pursue your craft. 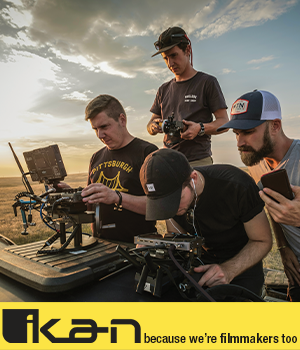 Whether that inspiration comes from friends, family or some other source, it can help you stay driven to learn more, improve your skills, and achieve your photography goals. 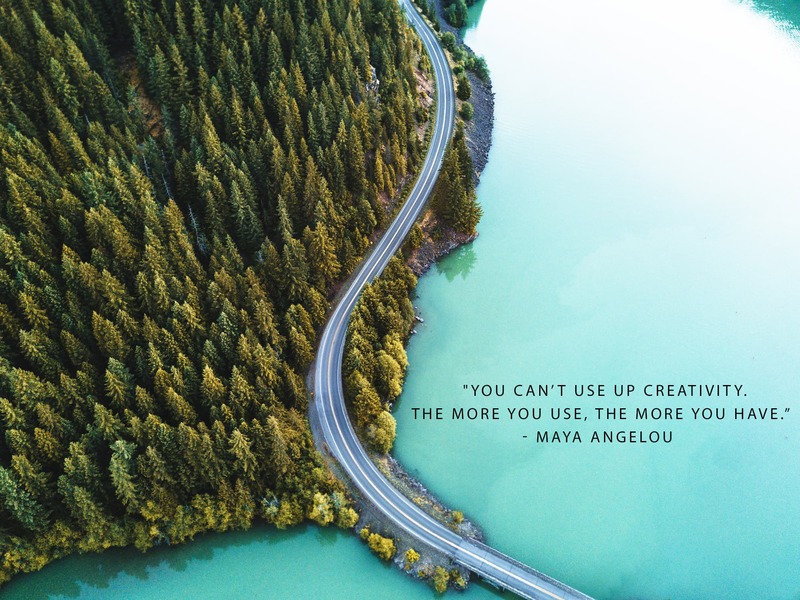 With that in mind, this list of motivational quotes can help keep you on the straight and narrow with your photography, get you motivated to work harder, and inspire your creativity as well. 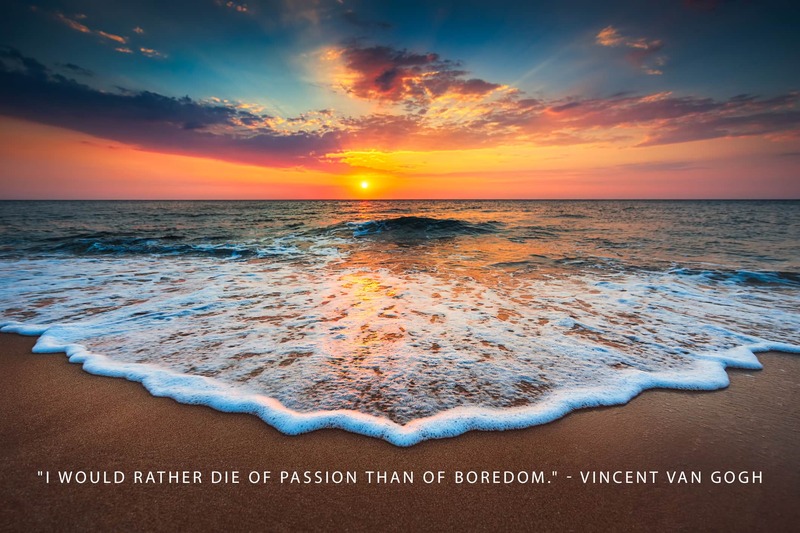 "I would rather die of passion than of boredom." - Vincent van Gogh Click to Tweet this Motivation Quote! "Fake it until you make it! Act as if you had all the confidence you require until it becomes your reality." - Brian Tracy Click to Tweet this Motivation Quote! 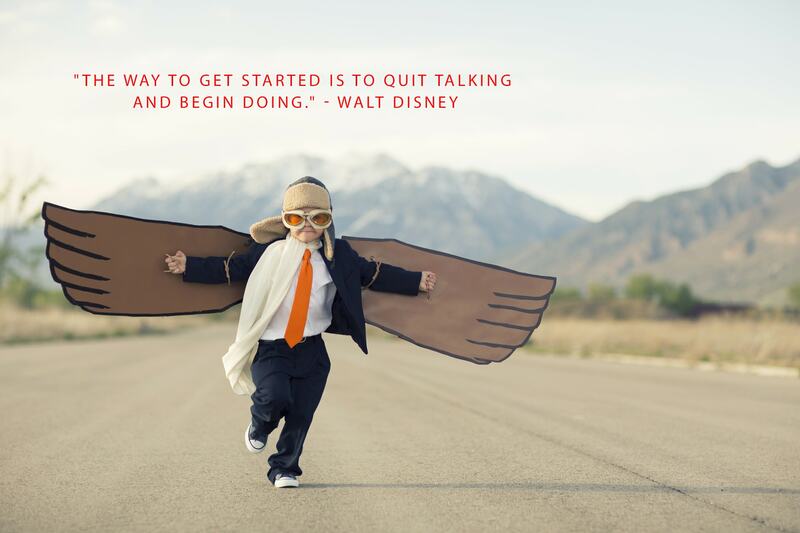 "The way to get started is to quit talking and begin doing." - Walt Disney Click to Tweet this Motivation Quote! "If you are working on something that you really care about, you don’t have to be pushed. The vision pulls you." - Steve Jobs Click to Tweet this Motivation Quote! 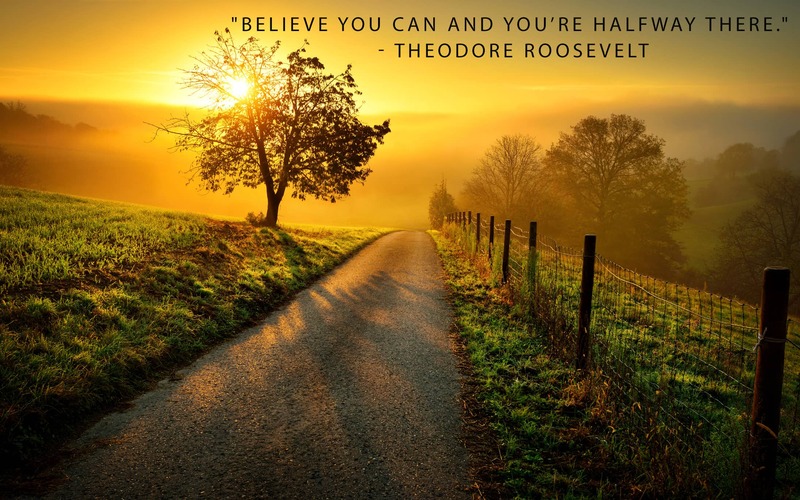 "Believe you can and you’re halfway there." - Theodore Roosevelt Click to Tweet this Motivation Quote! "Everything you’ve ever wanted is on the other side of fear." - George Addair Click to Tweet this Motivation Quote! "It is during our darkest moments that we must focus to see the light." - Aristotle Onassis Click to Tweet this Motivation Quote! 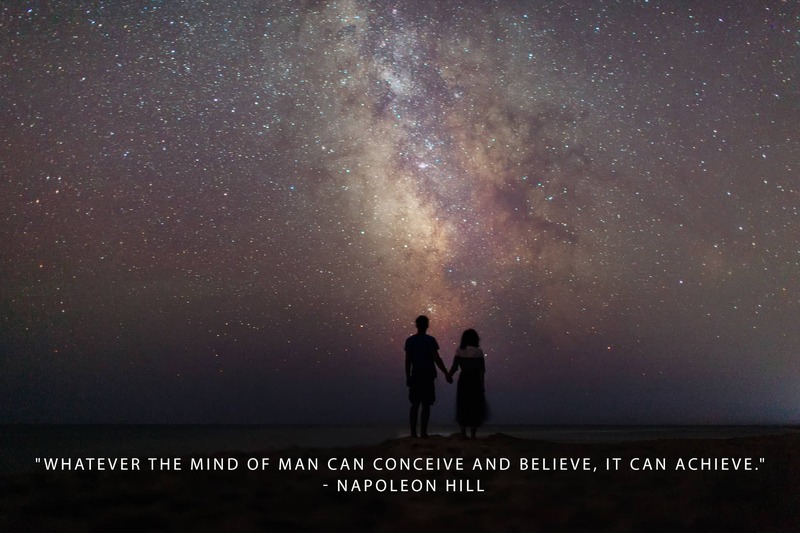 "Whatever the mind of man can conceive and believe, it can achieve." - Napoleon Hill Click to Tweet this Motivation Quote! "Strive not to be a success, but rather to be of value." - Albert Einstein Click to Tweet this Motivation Quote! 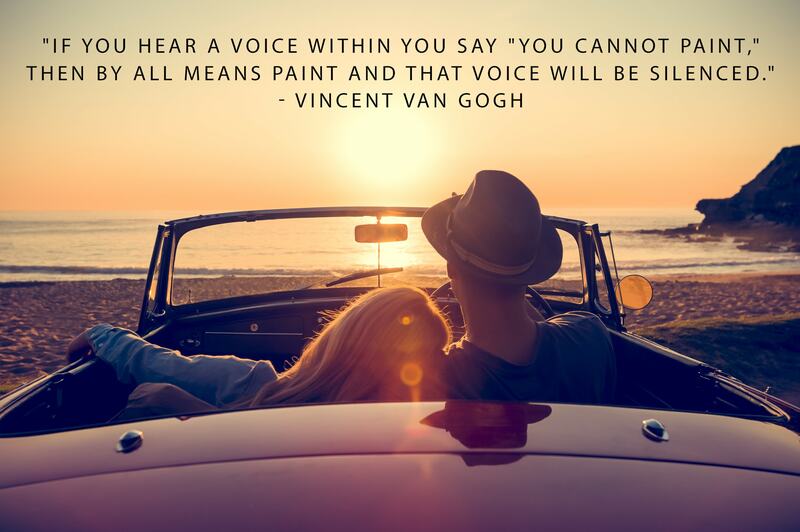 "If you hear a voice within you say "you cannot paint," then by all means paint and that voice will be silenced." - Vincent van Gogh Click to Tweet this Motivation Quote! "Nothing is impossible, the word itself says “I’m possible!" - Audrey Hepburn Click to Tweet this Motivation Quote! 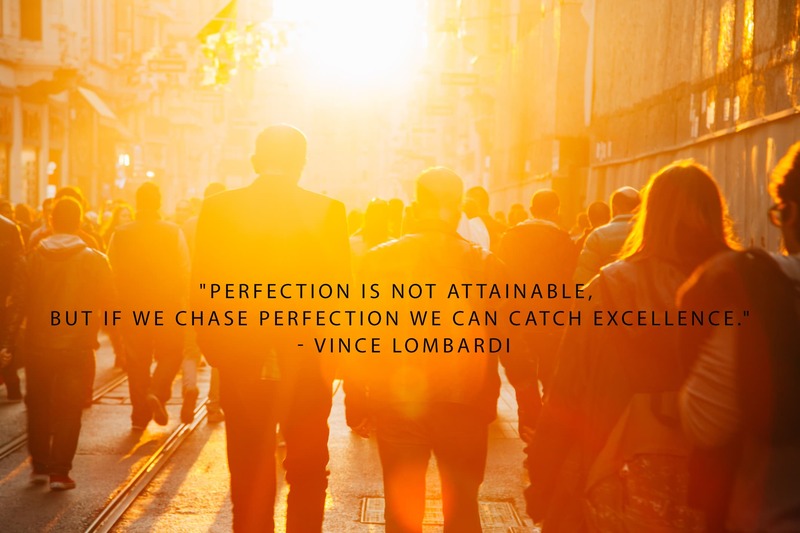 "Perfection is not attainable, but if we chase perfection we can catch excellence." - Vince Lombardi Click to Tweet this Motivation Quote! "Limitations live only in our minds. But if we use our imaginations, our possibilities become limitless." - Jamie Paolinetti Click to Tweet this Motivation Quote! "The pessimist sees difficulty in every opportunity. 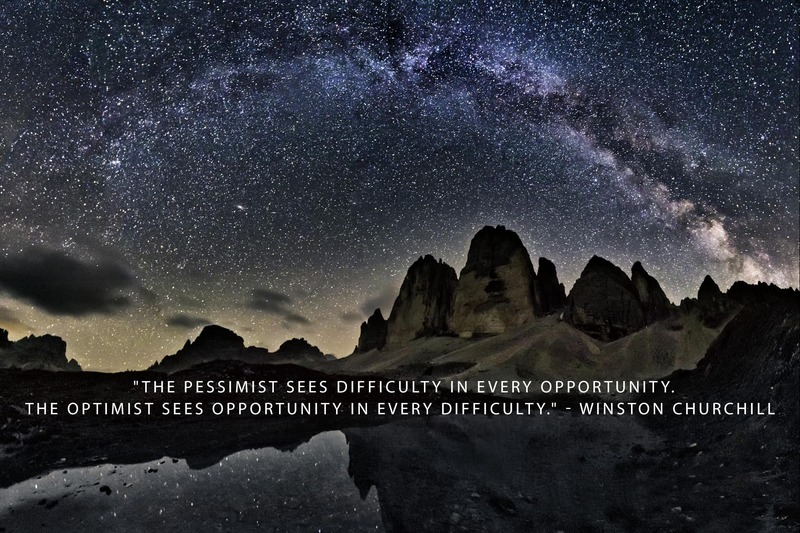 The optimist sees opportunity in every difficulty." - Winston Churchill Click to Tweet this Motivation Quote! "Build your own dreams, or someone else will hire you to build theirs." - Farrah Gray Click to Tweet this Motivation Quote! 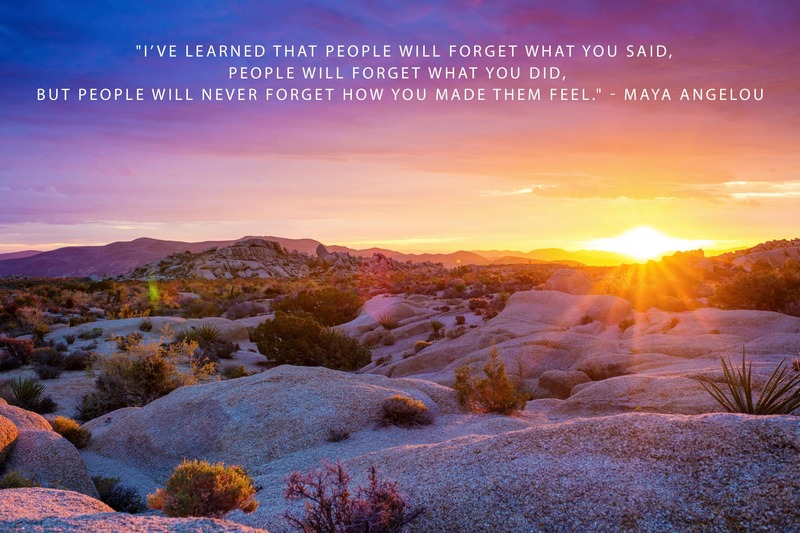 "I’ve learned that people will forget what you said, people will forget what you did, but people will never forget how you made them feel." - Maya Angelou Click to Tweet this Motivation Quote! "Too many of us are not living our dreams because we are living our fears." - Les Brown Click to Tweet this Motivation Quote! 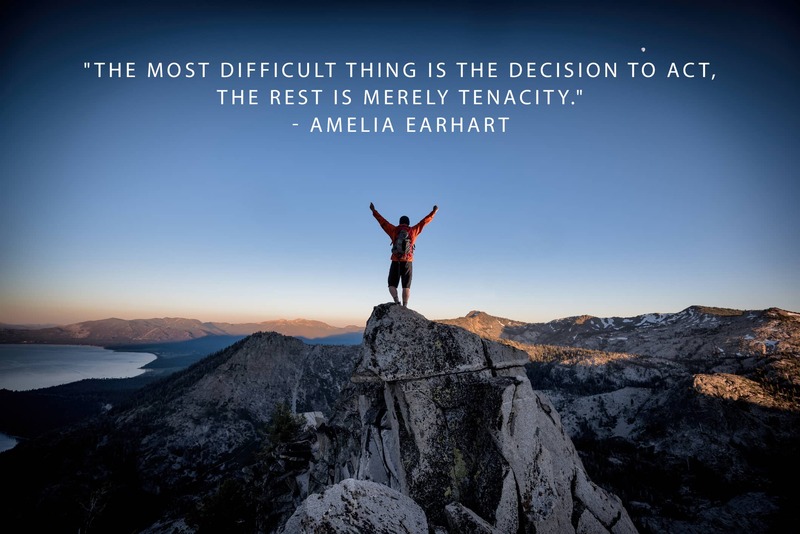 "The most difficult thing is the decision to act, the rest is merely tenacity." - Amelia Earhart Click to Tweet this Motivation Quote! "The only person you are destined to become is the person you decide to be." - Ralph Waldo Emerson Click to Tweet this Motivation Quote! "We can’t help everyone, but everyone can help someone." 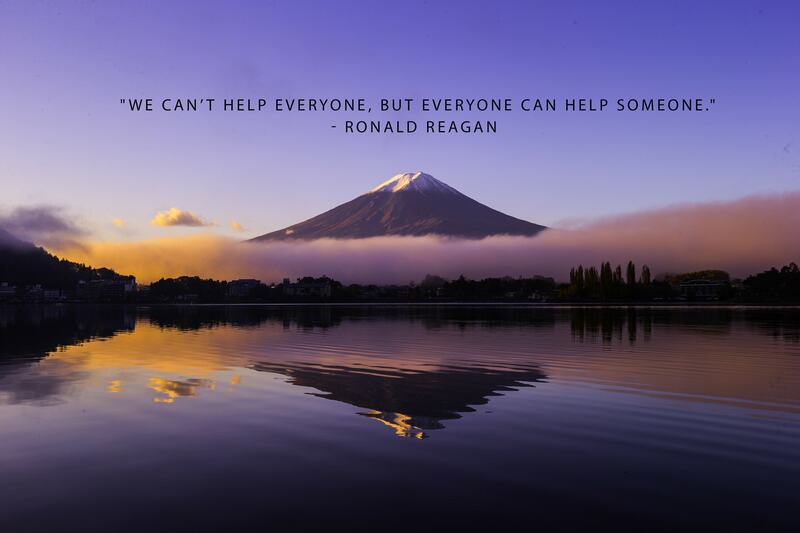 - Ronald Reagan Click to Tweet this Motivation Quote! "Don’t let yesterday take up too much of today." - Will Rogers Click to Tweet this Motivation Quote! 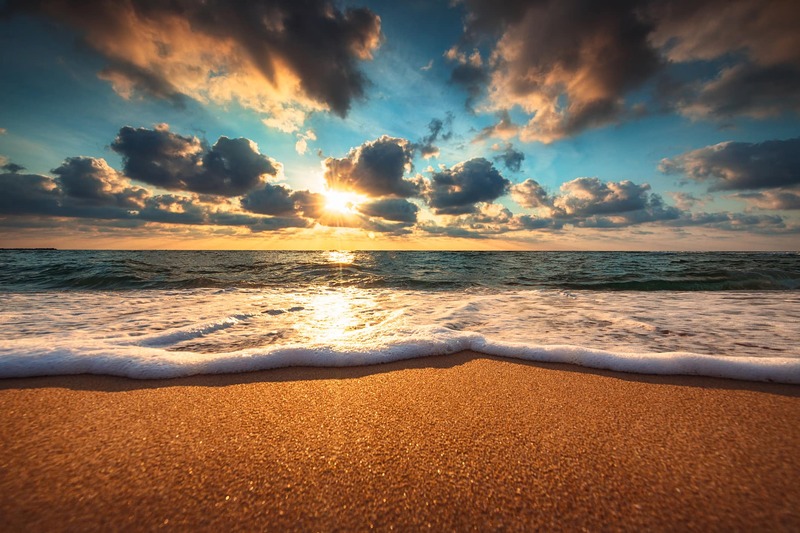 "Twenty years from now you will be more disappointed by the things that you didn’t do than by the ones you did do, so throw off the bowlines, sail away from safe harbor, catch the trade winds in your sails. Explore, Dream, Discover." - Mark Twain Click to Tweet this Motivation Quote! "Nothing will work unless you do." 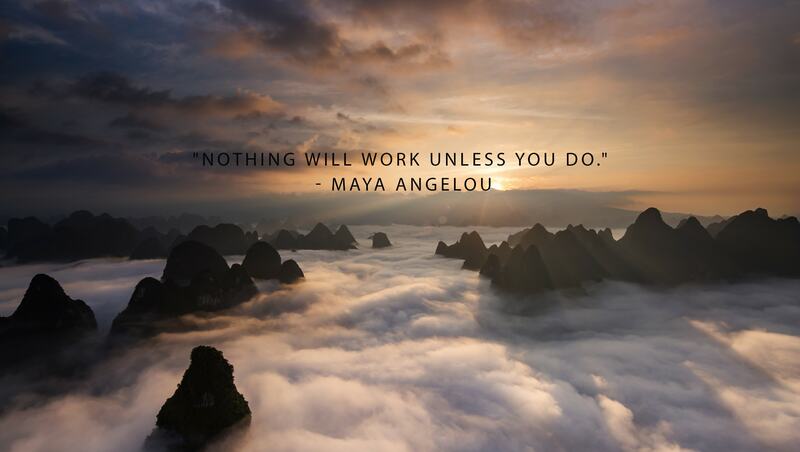 - Maya Angelou Click to Tweet this Motivation Quote! "I am not a product of my circumstances. I am a product of my decisions." - Stephen Covey Click to Tweet this Motivation Quote! 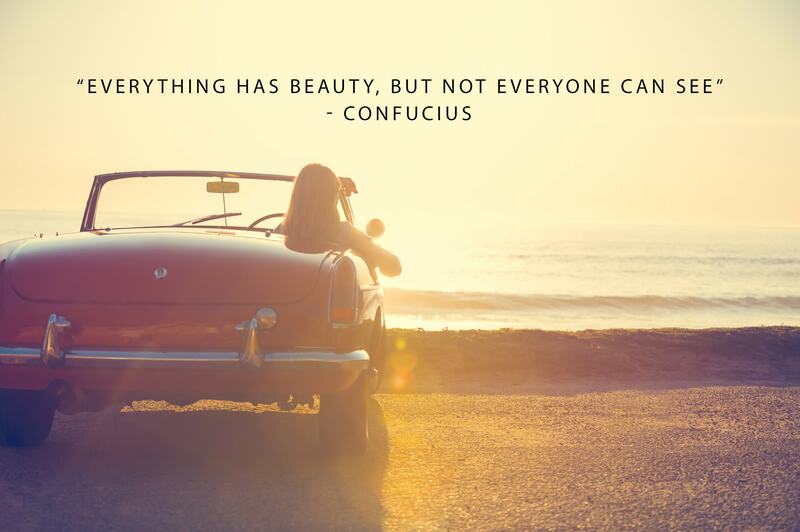 "Everything has beauty, but not everyone can see." - Confucius Click to Tweet this Motivation Quote! "I have been impressed with the urgency of doing. Knowing is not enough; we must apply. Being willing is not enough; we must do." - Leonardo da Vinci Click to Tweet this Motivation Quote! "Whether you think you can or you think you can’t, you’re right." 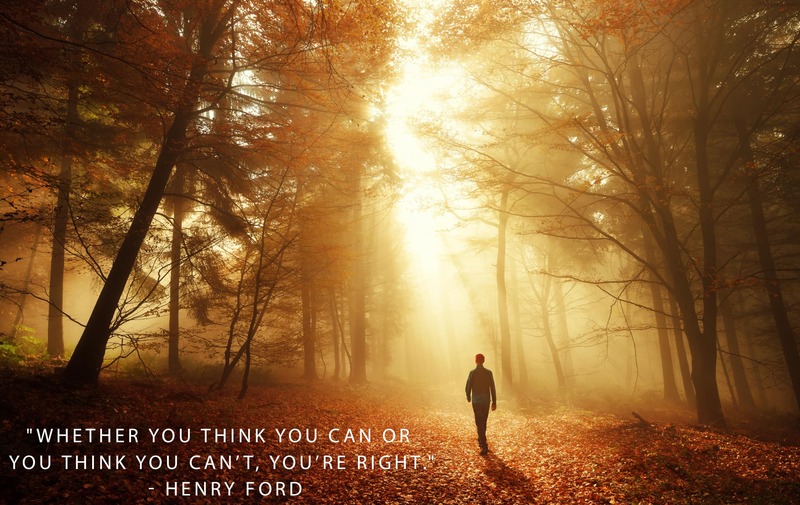 - Henry Ford Click to Tweet this Motivation Quote! "It’s not whether you get knocked down, it’s whether you get up." - Vince Lombardi Click to Tweet this Motivation Quote! 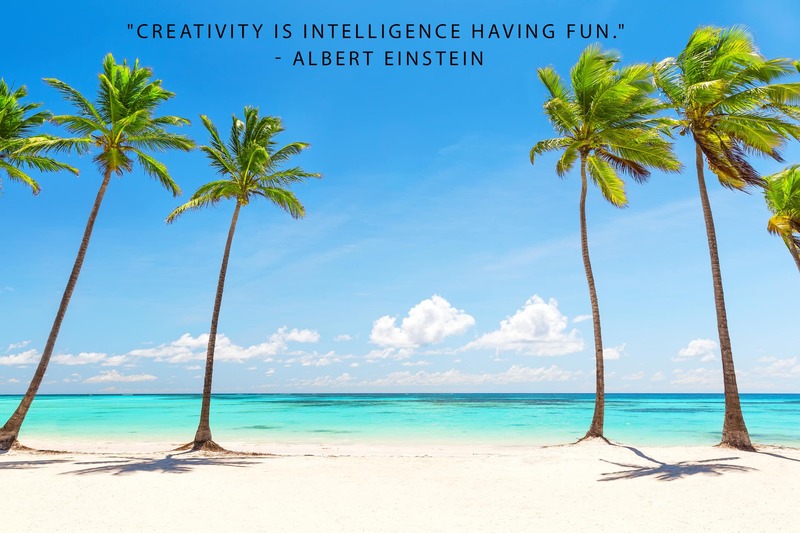 "Creativity is intelligence having fun." - Albert Einstein Click to Tweet this Motivation Quote! "I can’t change the direction of the wind, but I can adjust my sails to always reach my destination." - Jimmy Dean Click to Tweet this Motivation Quote! 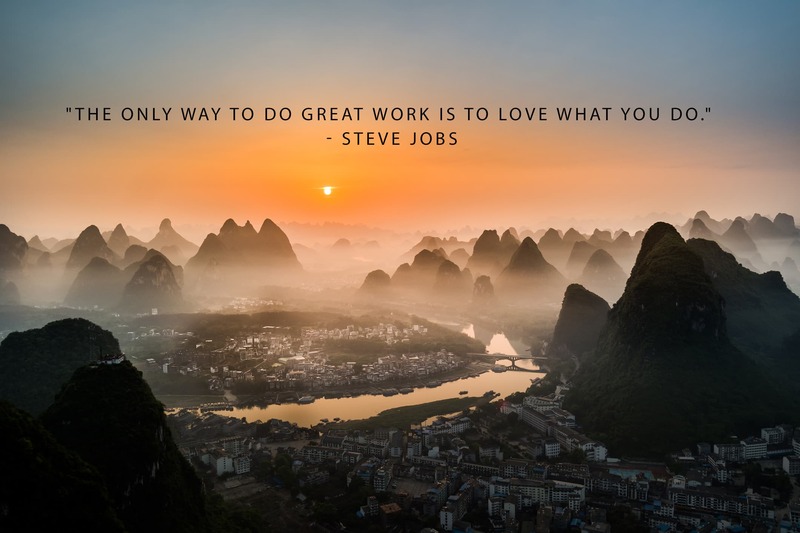 "The only way to do great work is to love what you do." - Steve Jobs Click to Tweet this Motivation Quote! "Do or do not. There is no try." - Yoda Click to Tweet this Motivation Quote! "I’ve missed more than 9000 shots in my career. I’ve lost almost 300 games. Twenty-six times I’ve been trusted to take the game winning shot and missed. I’ve failed over and over and over again in my life. And that is why I succeed." 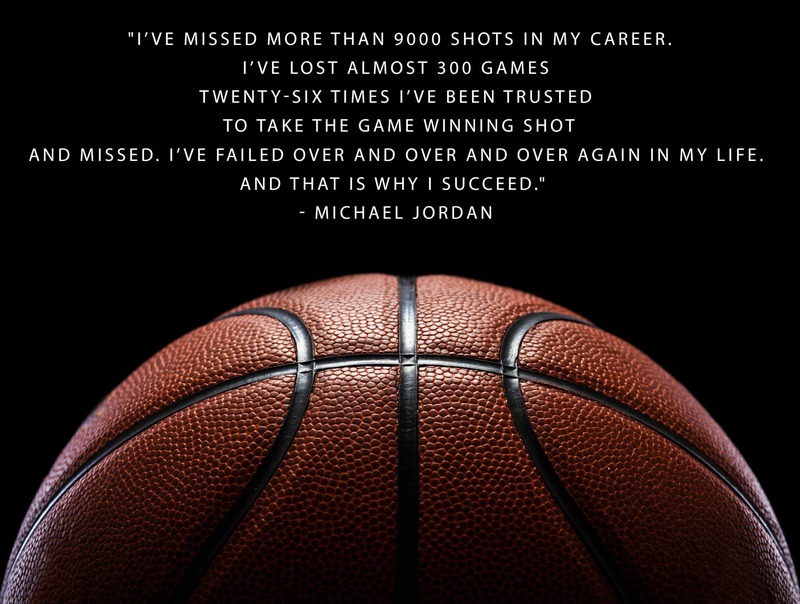 - Michael Jordan Click to Tweet this Motivation Quote! "You learn more from failure than from success. Don’t let it stop you. Failure builds character." - Unknown Click to Tweet this Motivation Quote! "Security is mostly a superstition. Life is either a daring adventure or nothing." 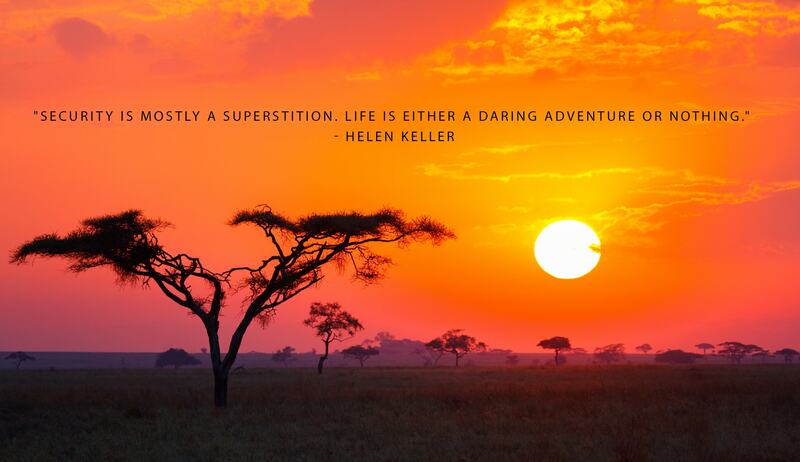 - Helen Keller Click to Tweet this Motivation Quote! "Failure will never overtake me if my determination to succeed is strong enough.” - Og Mandino Click to Tweet this Motivation Quote! "Things work out best for those who make the best of how things work out." 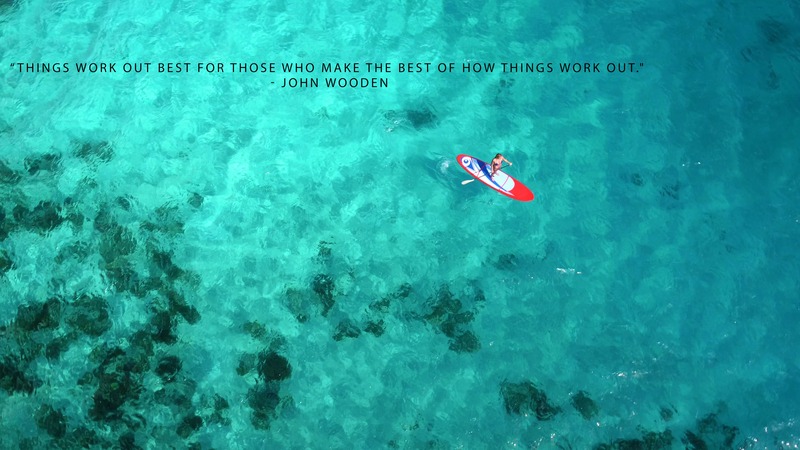 - John Wooden Click to Tweet this Motivation Quote! "I think goals should never be easy, they should force you to work, even if they are uncomfortable at the time." - Michael Phelps Click to Tweet this Motivation Quote! "When everything seems to be going against you, remember that the airplane takes off against the wind, not with it." 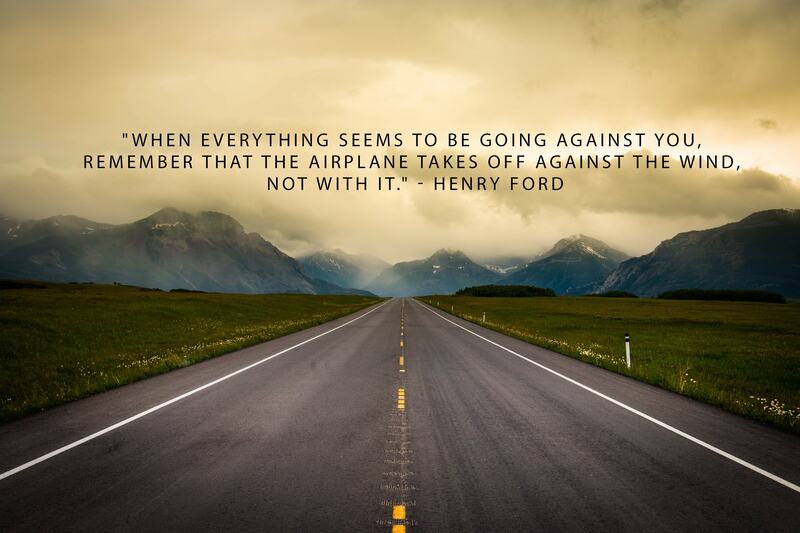 - Henry Ford Click to Tweet this Motivation Quote! "What you lack in talent can be made up with desire, hustle and giving 110% all the time." - Don Zimmer Click to Tweet this Motivation Quote! 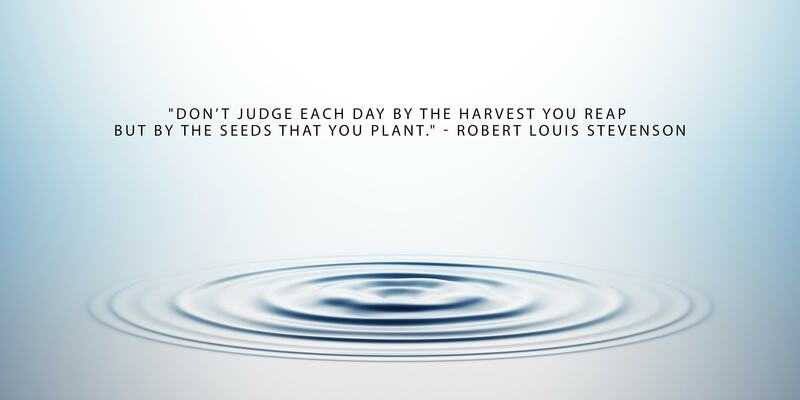 "Don’t judge each day by the harvest you reap but by the seeds that you plant." - Robert Louis Stevenson Click to Tweet this Motivation Quote! 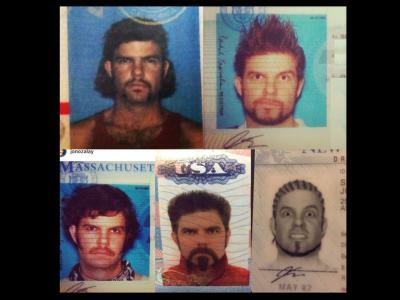 "The man who has confidence in himself gains the confidence of others." - Hasidic Proverb Click to Tweet this Motivation Quote! "You can’t use up creativity. 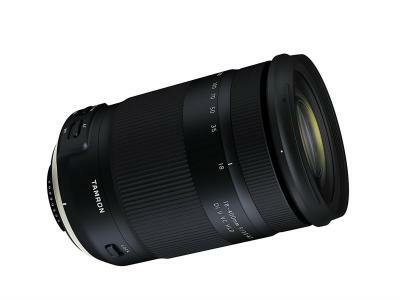 The more you use, the more you have." - Maya Angelou Click to Tweet this Motivation Quote! "A person who never made a mistake never tried anything new." - Albert Einstein Click to Tweet this Motivation Quote! 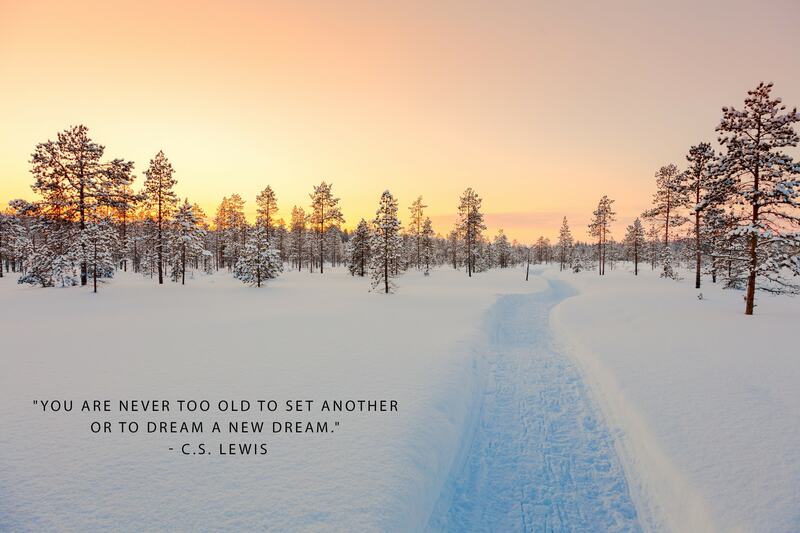 "You are never too old to set another goal or to dream a new dream." - C.S. Lewis Click to Tweet this Motivation Quote! "When one door of happiness closes, another opens, but often we look so long at the closed door that we do not see the one that has been opened for us." - Helen Keller Click to Tweet this Motivation Quote! "Certain things catch your eye, but pursue only those that capture the heart." - Ancient Indian Proverb Click to Tweet this Motivation Quote! 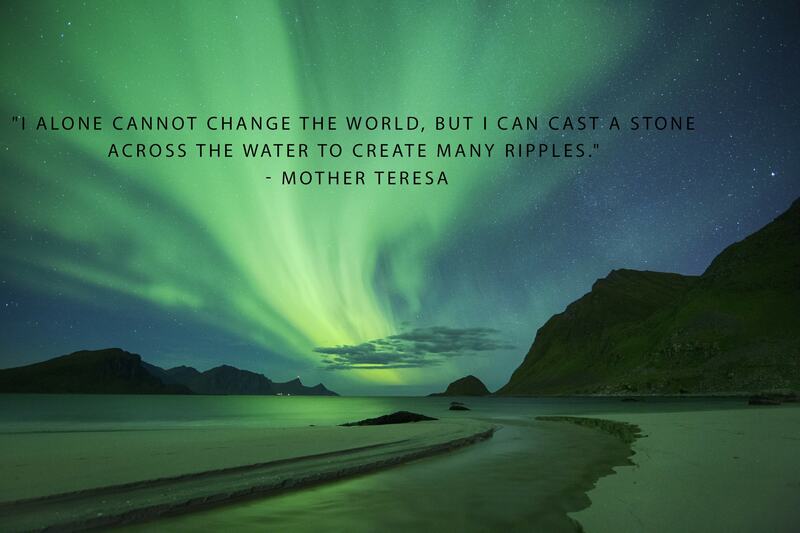 "I alone cannot change the world, but I can cast a stone across the water to create many ripples." - Mother Teresa Click to Tweet this Motivation Quote! 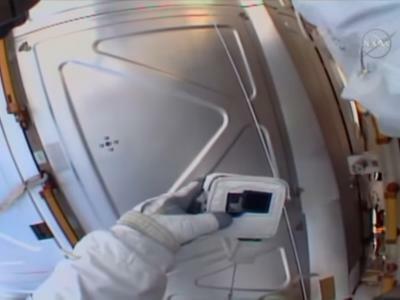 "What we achieve inwardly will change outer reality." - Plutarch Click to Tweet this Motivation Quote! 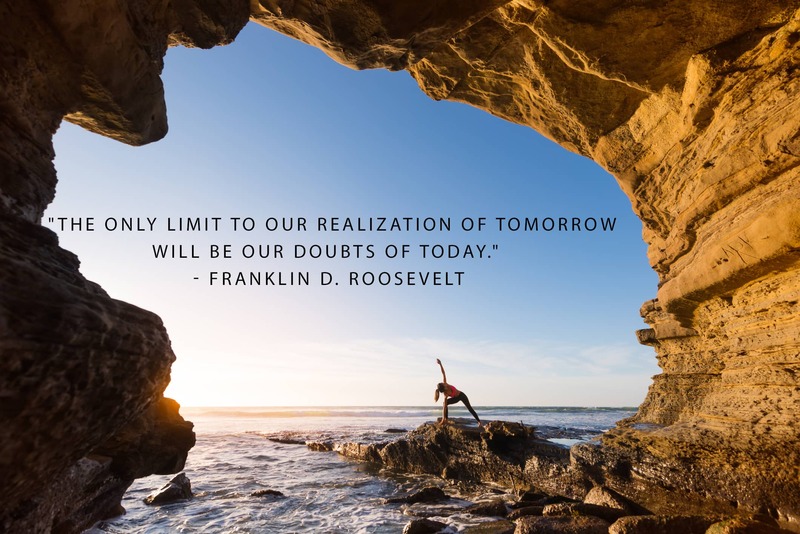 "The only limit to our realization of tomorrow will be our doubts of today." - Franklin D. Roosevelt Click to Tweet this Motivation Quote! "For every reason it's not possible, there are hundreds of people who have faced the same circumstances and succeeded." Jack Canfield Click to Tweet this Motivation Quote!